Neurotypical folks aren't unlikely to describe people with Asperger's as lacking empathy — but is it possible that aspies have too much, rather than too little, empathy? 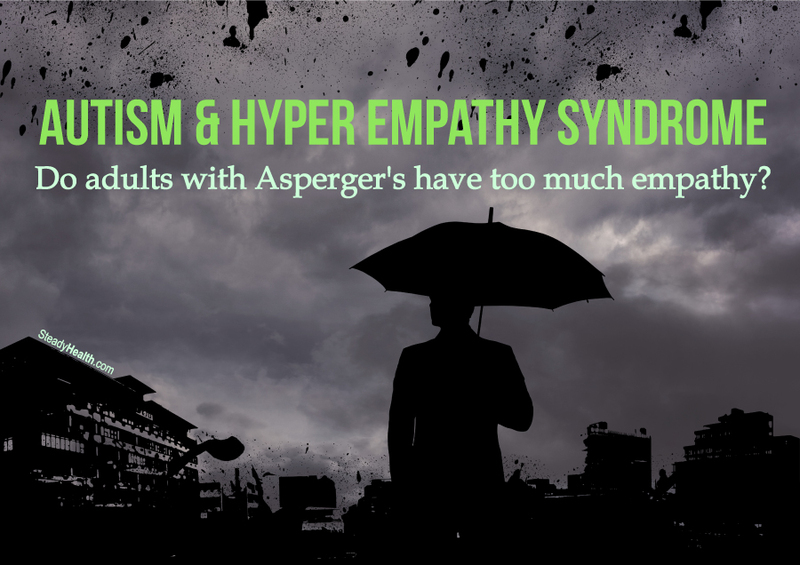 Could "hyper empathy syndrome" be a core part of Asperger Syndrome? Have you seen the title of this piece? It seems innocuous enough, and perhaps even a little boring, but a lot of really fascinating stuff hides behind it — so when my editor asked me if I'd like to write something with this title, I got quite excited. Why? Hyper empathy syndrome has been described in the scientific literature, but not extensively. It's not a diagnosable condition under the current version of the Diagnostic and Statistical Manual of Mental Disorders, and the same holds true for Asperger's — which, though very real, is now officially just autism spectrum disorder. And what about empathy? Aren't autists known for not having much of that, but quite erroneously? Lots of cool stuff to look at, then. Let's get straight to it! Why Is Asperger Syndrome Officially No Longer A Thing? The decision was far from widely welcomed, however, and it's highly unlikely that the term "Asperger's" will disappear from popular vocabulary anytime soon, or that those who would formerly have qualified for this diagnosis will stop referring to themselves as "aspies". In addition, the International Classification of Diseases, Tenth Revision (ICD-10) — used for diagnostic purposes in many countries outside the US — still features Asperger Syndrome . Issues with understanding verbal and non-verbal communication, often taking things too literally. Strange behaviors like repetitive mannerism, having a hard time coping with change, and hyperfocusing on particular interests. Seeming insensitive to other people. Seeking solitude and not wanting comfort from others when distressed. People call you “sad” for being interested in interesting stuff. You feel “different” from most people, and feel that you don’t “fit in”. People think you’re being rude and/or critical when you’re not meaning to be. You hear a lot about how “you’re only making things worse for yourself”. I mention this because rather a few people suspect they have Asperger's without ever having been formally diagnosed. These people may or may not benefit from a formal diagnosis (which would, as we've seen, differ depending on where they live), but those who are pretty sure they're aspies may still benefit from stuff written for people with Asperger's even if they've not been diagnosed. Cognitive empathy is the ability to accurately "read" another person's emotional state. This is sometimes talked about as the ability to "put yourself into another person's shoes." Some people would add compassion to that list, and define it as empathy coupled with undertaking steps to help a person who needs help. Quite the contrary, in some cases, actually. People with Asperger's may have too much empathy. Does That Mean That People With Asperger's May Have 'Hyper Empathy Syndrome'? Hyper empathy syndrome might have been diagnosable as "Personality Disorder Not Otherwise Specified" in the previous version of the DSM, and the current DSM-5 just may cover it as "Personality Disorder Trait Specified" , but one of the diagnostic criteria is that the symptoms must not be explainable by other factors. If hyper empathy is an inherent part of your autism, that means you can forget about that particular diagnosis. Leaving official diagnostic criteria behind, it is, however, absolutely possible to suffer from hyper empathy — something some people refer to as being an "empath" — if you're an aspie. You may intensely experience other people's emotions and be overwhelmed by the "vibes" they give off to the point it causes genuine suffering. You may even experience panic attacks as a result. You may also, on the other hand, experience extreme and positive connectedness with humanity as a whole. Learning about how to control negative and positive emotions when you have hyper empathy syndrome may help you some, though. Rather than being a separate syndrome that requires you to go after testing for hyper empathy syndrome, this phenomenon may simply be an integral, and very much misunderstood, part of your autistic processing style. Is Asperger syndrome more often in boys? How do children with deletion 22q13 express their feelings?